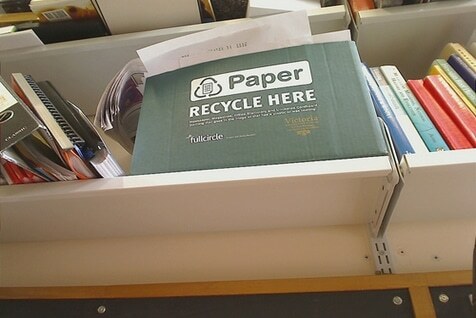 Home » Greenroom » Go Green Posters – Recycle Your Paper and Plastic! Go Green Posters – Recycle Your Paper and Plastic! We all know that recycling is the way to go for the sake of the environment but sometimes we can get a tad forgetful … or possibly even lazy! Download, print and hang this poster in your workplace and forget about that forgetfulness excuse! Alsco offers variety of solutions to help make your workplace a greener environment like our revolutionary Evolution Mats are made from recycled eco-friendly materials. Experience greener office for greener environment! See it in action. Contact Alsco for more details.